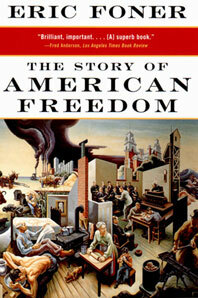 A stirring history of America focused on its animating impulse: freedom. From the Revolution to our own time, freedom has been America's strongest cultural bond and its most perilous fault line, a birthright for some Americans and a cruel mockery for others. Eric Foner takes freedom not as a timeless truth but as a value whose meaning and scope have been contested throughout American history. His sweeping narrative shows freedom to have been shaped not only in congressional debates and political treatises but also on plantations and picket lines, in parlors and bedrooms, by our acknowledged leaders and by former slaves, union organizers, freedom riders, and women's rights activists.